Achievement Unlocked: First Game Launched! 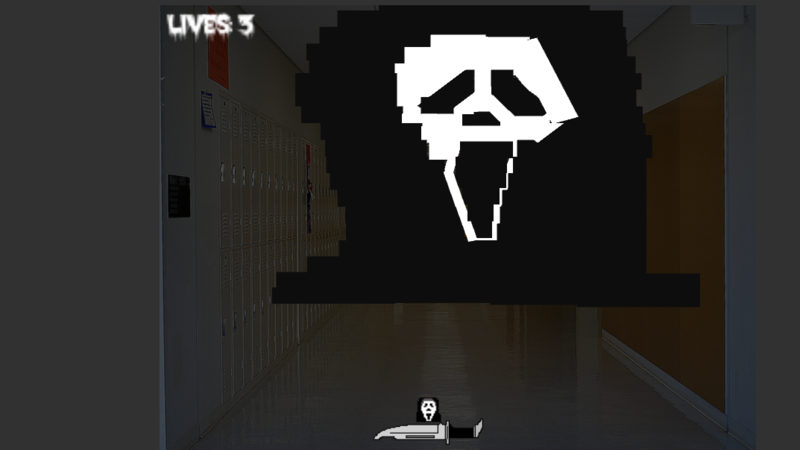 I’m pleased to announce that Horror Block Breaker has launched and is ready to play on madeyegames.com. If you like horror movies and want to play an indie game that has sprites based off of horror movie villains and weapons in the films, then this game is for you. Your job is to use your mouse to move the paddle and prevent the ball from falling off the screen while you destroy all the blocks. You have three lives per level with the exception of the final level. Do you have what it takes to survive Horror Block Breaker? Any feedback you can provide for me after you finish playing is greatly appreciated. I can apply your feedback and suggestions to the final edits of my game and the next game I’m already designing. That’s right folks. More games are coming. Step 1. Click the ‘Games’ Menu Button at the top of the menu. Step 2. Scroll down to where you’ll see a grey screen. Step 3. Wait 10-30 seconds for the game to load.